The Riviera Maya in the Yucatan Peninsula Mexico, boasts a vast wealth of natural wonders and interesting remains of the ancient Mayan civilization. And it is in this sacred land where Royal Resorts redefines the concept of "luxury" with its elegant resort of 144 Suites, to accompany the soul and energy of the destination with its idyllic landscapes and create attractive settings for you and yours to enjoy a state of total comfort and satisfaction. Words cannot do justice to explain the grand experience at this hotel. Exceptional customer service! The master suite was gorgeous! Kids Club was awesome, they do a great job in keeping kids entertained. The shrimp tacos at Heaven Beach Bar are truly yummylicious! The beach is beautiful. Would definitely love to come back! We loved everything about The Grand Residence hotel! The rooms are beautiful and the staff is exceptional! From the private car at the airport to the most delicious meals we couldn’t have been more pleased. The beach was gorgeous and the pool was perfect! We are recommending it to all of our friends and family! The Grand Residences and its staff are nothing short of incredible. The hotel is maintained at the highest level. The rooms are meticulously maintained with the cleaning staff leaving presents each night for the kids. The food... AMAZING! Grand Residences is truly a 5 star resort. Do yourself a favor and book it, you won't regret it. 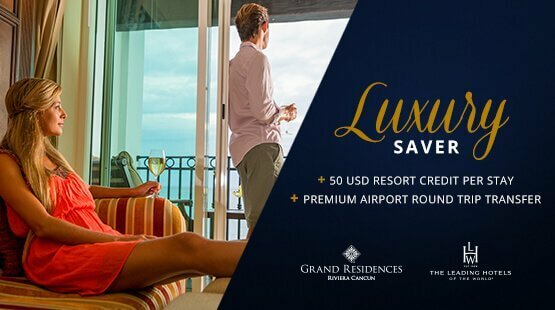 The best available rate for Grand Residences Riviera Cancun stays, offers a comfortable stay in spacious suites and a convenient $50 USD Resort Credit used in Restaurants, Spa and shop. This plan includes round trip transportation to and from the airport, a bottle of Tequila and daily fresh & dried fruits. This plan is always available for our guests. 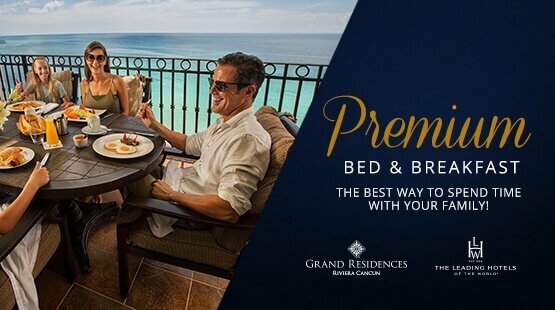 Enjoy every morning a delicious Gourmet breakfast for all, round trip transportation and the finest amenities in Riviera Maya such as fitness center, concierge services and more. Kids stay free. 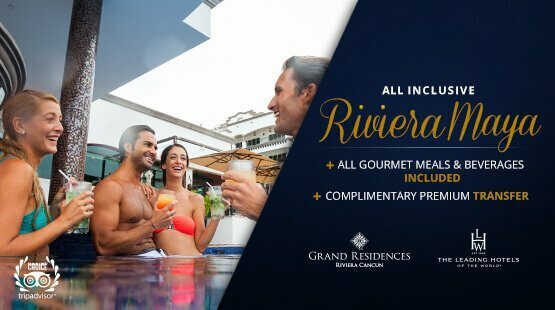 The most exclusive experience in Royal Resorts delights all the senses with world-class cuisine, premium beverages, daily fresh & dried fruits , spacious and comfortable ocean view and beach front suites, round trip transportation to and from the airport and many other benefits.